Tucked away in a little area of Cabo San Lucas, there’s a hidden gem of a resort brimming with understated luxury. The Grand Solmar Timeshare has everything you could want while on a tropical vacation. A beautiful beach, a tranquil spa, gorgeous suites, and enough culinary options to keep you busy for a whole week. Of all the Cabo San Lucas resorts, this one is truly unforgettable. Grand Solmar Timeshare offers you and your family a place to unwind genuinely and we assure you that this isn’t just another resort, it’s a destination all of its own. Not far from the bustling downtown of Cabo San Lucas, the resort somehow manages to transport you to a calm oasis, exuding a refined elegance that will make it hard for you when it is time to leave. The suites were designed and decorated carefully, to evoke a feeling of utter relaxation as you enjoy your jacuzzi bathtub or relax with a cocktail overlooking the Pacific Ocean from your balcony. International travelers who enjoy the more exceptional things in life will have the feeling of being right at home in the presidential suite. With over 2000sqft of spaciousness, breath-taking views from every room, and even your own wet bar, it’s not something you’d want to miss. What would a typical day look like at the Grand Solmar Timeshare? Well, that’s entirely up to you. You might struggle to choose what to do first as your accommodations contain a fully equipped kitchen so do you stay in for breakfast, do you go out to one of the exceptional on-site restaurants, or do you wander into to town to see what it has to offer? After breakfast, if you are still at the resort, why not make the most of an already soothing environment and visit the holistic spa? Here you can choose from several different types of massages, facials or body wraps. The seaside spa is the place to reinvigorate your mind, body, and soul either in solitude or shared with a loved one. The facilities alone are enough to leave you feeling calm and refreshed, but there are many different treatments to leave you not only feeling but looking your best. Once you’re done being pampered, it’s time to head to the resort’s infinity pool, stretching out in front of the ocean for a stunning sunset. With a swim-up bar and waiters patrolling the area, all of your refreshment needs will be met, and you can stay there and have a front row seat to watch the sun go down into the Pacific Ocean. 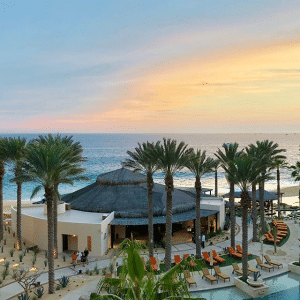 Grand Solmar Timeshare provides everything you could ever want, and with a team of incredible staff trained to ensure your stay is unforgettable, you’ll be longing to book the next visit before you even leave the resort to head home. The team will make sure your holiday is one to remember, and they are more than happy to arrange some of the activities that Cabo San Lucas has to offer. In a location that has something for everyone, you can opt for an adventure quest filled with extreme activities, or you charter your dream yacht to sail you into the open water for a day at sea. 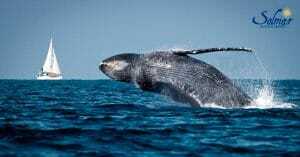 Some like to spend there day fishing, while others go for a snorkeling adventure or you can go for a sunset cruise and be whale watching at the same time. It’s a place that does have something for everyone in the family can enjoy. It’s not hard to see why the resort has glowing reviews, with guests putting into words exactly what we experienced at the Grand Solmar Timeshare. It’s a feeling that your contentment is the most important factor to every staff member that you meet. The staff is very attentive and consistently go out of their way to make sure that you are surrounded by luxury and treated with the respect any VIP would expect. If you’re looking for a holiday experience to remember for all the right reasons, then take our word for it and book your next vacation at the Grand Solmar Timeshare.